Alec Baldwin is The Boss Baby (seriously, that was his actual name) who is “delivered” to the Templeton family but turns out to be an undercover “agent” trying to foil a plot by a sinister organization who intend to replace babies with puppies. 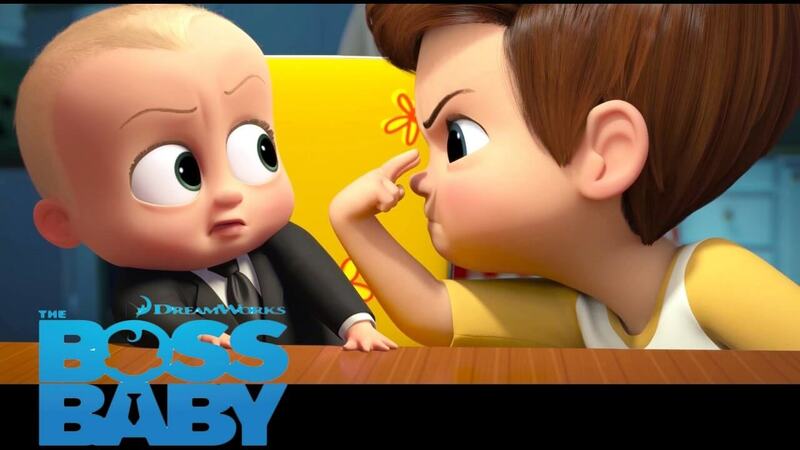 The Boss Baby and his brother Tim (Miles Christopher Bakshi) must put aside their rivalry and save all babykind. The trailer for this animated feature already got me and I was super excited when it finally came to Nigerian cinemas. I was curious to see how they will explain a baby who talks, wears a suit and carries a briefcase. I knew it was going to be hilarious and I was absolutely right especially Alec Baldwin’s wit which was just over the top and ridiculously funny. One angle the movie addressed was the issue of sibling rivalry. Many parents don’t recognize that this is actually a serious issue and they don’t recognize and address it before it escalates. I know many kids who don’t get along because they have always seen themselves in competition for the love and attention of their parents and this jealousy has driven them apart. Another thing I took away from this movie is how family life and the corporate environment are quite similar. For instance, many organizations feel that throwing money and promotions at employees is enough to win their loyalty and keep them satisfied. This isn’t entirely accurate as employees want to feel appreciated and feel like they matter to the organization and just like a family, organizations should appreciate their employees to get the best out of them. In extending this to the family, parents must recognize that giving your kids money isn’t the only way to show love, these kids want your time and your presence to feel like they are truly loved. Siblings should always stick together. This is obviously a family movie that you can see this Easter period and makes for good quality family time. So why not just click here get your movie tickets and go see it? Have a happy Easter celebration all.